Understanding that the division of labour as a function of class and power rather than technology and efficiency is crucial to understanding historical and contemporary capitalism. Because the division of labour is fundamental to capitalism, practically everyone who works has some familiarity with it. We can use the ‘Paper Airplane Game’ as a way to draw on that individual experience and have some fun while teaching about labour and capitalism. Object: to encourage critical thinking about the dual nature of the division of labour, historically and in contemporary work experience. Optional: small individual treats, such as wrapped candies or “Employee of the Month” certificates, enough for entire class. Ask if anyone can make a simple paper airplane. Select 1-5 volunteers and ask each to carefully make a paper airplane. Make it clear that while you will time them, quality, not speed, is crucial. Give the artisans each a sheet of paper, and ask them to begin when you are ready to time them. Typically, people will take 1-3 minutes to make the paper airplane. As they work, you can talk in broad terms about manufacturing before the factory system and the assembly line. Shoemakers, for example, would consult with customers, design the shoe, make the glue, cut the leather, piece it together; they would control every stage of production. From apprentices to masters, shoemakers shared a culture, a tradition of work and craft that included reading aloud on the shop floor, and a moral economy of wages and even spontaneously declared “holidays.” There was some division of labour, especially between apprentices, journeymen, and masters, but being a shoemaker meant you would learn every step in production—just like our paper airplane artisans—and every apprentice could aspire to becoming an independent master. When the artisans have finished their airplanes, note on the blackboard how long each took. Sometimes people will decorate their planes—an example of pride of craft. Have them test their airplanes and have the class determine which airplane flew best. Congratulate the winner. If you have treats, you can reward the winner. Explain to the class that you don’t know how to make paper airplanes, but you have something the artisans don’t: the capital to hire workers and build a factory. You could hire artisans to work for you, but why would an independent artisan become your employee? Furthermore, since artisans have a monopoly of the knowledge and skill needed to make the paper airplane, they can insist on high wages, leaving you little room for profit. But now that you have an artisanal paper airplane, you can “reverse engineer” it to take the knowledge of the artisans and build it into the work process. Make a show of unfolding the airplane. Ask “What knowledge do I have that I didn’t have before? What can I do now that I have acquired this knowledge? How can I now make paper airplanes and make a profit?” which is, after all, your goal. The answer is you can set up a new work process that does not require any special knowledge of the workers: assembly lines that require no craft and little training. Divide the class into equal groups of 4-6, depending on the size of the class. Give each group one sheet of paper. Explain that you are not going to hire people to make paper airplanes. You’re going to hire them to make one or two folds in the paper you give them. The precise number of folds depends on how many people are in each line, and can vary to accommodate class size. Demonstrate each fold. The first person in each team folds the paper in half lengthwise, and passes it to the second person. That person folds over one or two top corners to the crease line, and passes it on to the next person who makes the next fold. If you don’t know how to make the dart, instructions are available on line. The process can be divided into 4-6 separate operations, depending on the number of participants, and you can have some people be timers or quality control inspectors if you have an uneven number of people in the class. Have each line produce one airplane, following your instructions carefully. They can go slowly and take their time. Don’t time them. You can repeat the process so everyone knows their specific job, that is, their one or two folds. Now explain that you don’t need to hire everyone. How will you pick the team you’ll hire? A simple competition. 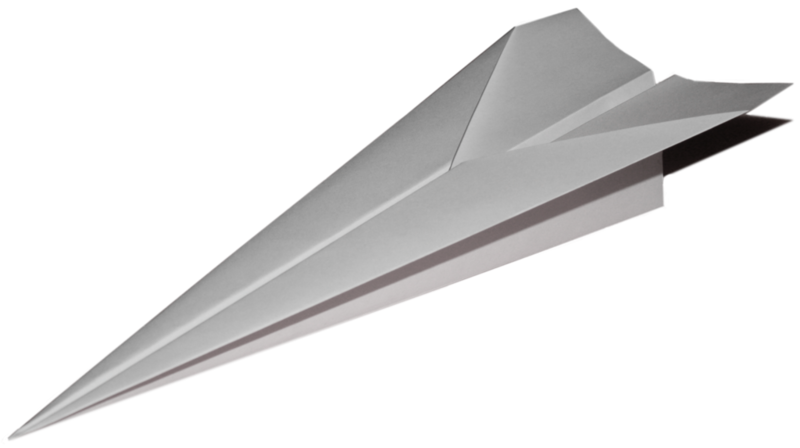 Each team will be asked to produce five paper airplanes using your new production method. The team that produces five flyable airplanes in the shortest time will be hired. If you have treats, you can say the winning team will be paid one treat each. Count out five sheets of paper for each team. Make sure no one starts folding until you tell them to start. Tell them to shout out when they’ve finished five planes. Remind them that the planes have to fly well, so speed alone will not win. When you and other timers are ready, have them start. As teams announce they’ve finished, note their times on the blackboard. When all the teams have finished, have each team launch its planes and have the class determine the winning team based on speed of completion and quality. What do bosses have that they didn’t have before? How has work changed for people? What impact might this have on people’s lives? We can then suggest capitalism is not primarily about technology or innovation, but about the power of capital over labour, taking power away from direct producers and putting it into the hands of the capitalist. We might ask why capitalists are pressured to constantly change the work process in particular ways and how we might structure work—the production of goods and services we all need—differently. The second way is through drawing on people’s own experience in the workplace. It makes their own experience, shared with others, part of our learning. I’ve used the paper airplane game with university students from first to fourth year, in education sessions with trade union members, and high school students. It is lively and fun, and gets people moving, physically and emotionally, to make the division of labour real and obvious. Most important, it lets people draw on their own experience, of the game and of their jobs, to connect to theory and history and to think critically about work and capitalism. Mark Leier is in the History Department at Simon Fraser University. His books include Bakunin: The Creative Passion and Rebel Life: The Life and Times of Robert Gosden, Revolutionary, Mystic, Labour Spy. [ii] Karl Marx, “Wage Labour and Capital,” in Marx and Frederick Engels, Collected Works, Volume 9. New York: Progress Publishers, 1977, pp. 225-6. [iii] Harry Braverman, Labor and Monopoly Capitalism: The Degradation of Work in the Twentieth Century. 1974. New York: Monthly Review Press, 1998.